Who’s addicted to “Angry Birds, raise your hands! I’m sure most of us will be raising both our hands and I’m raising mine with my nails painted with the casts of this wildly popular video game. How cool is that? As many of us get obsessed with these cute, furious birds, some merchandise like plush toys, t-shirts, mugs and other stuff with faces of the “angry birds” are already being sold in the market. And now, the nail art fanatics are craving for them too! 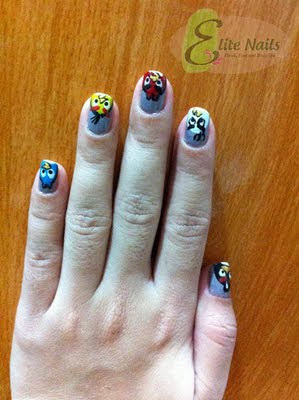 Just to let you know, we’ve launched them at our spa already and some friends have already tried:). Are you one of us? 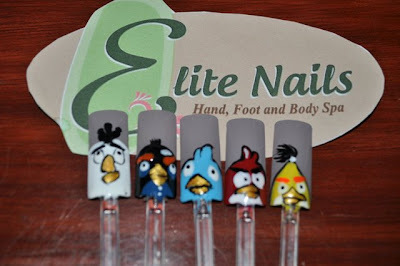 Head on to Elite Nails Spa today and be ready to challenge anyone to play the game. 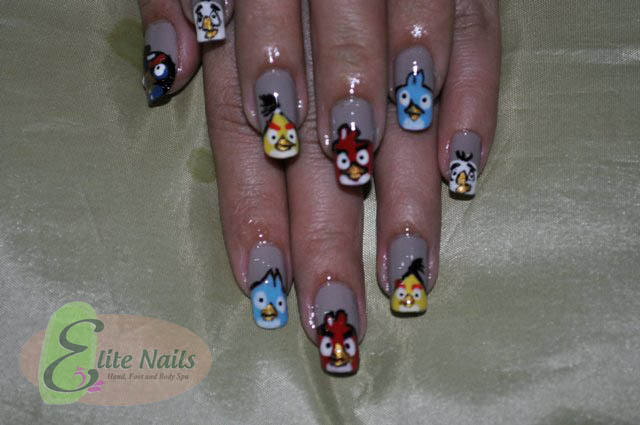 Show-off your themed Angry Birds nail art and you’ll have the winning advantage, that’s for sure:).